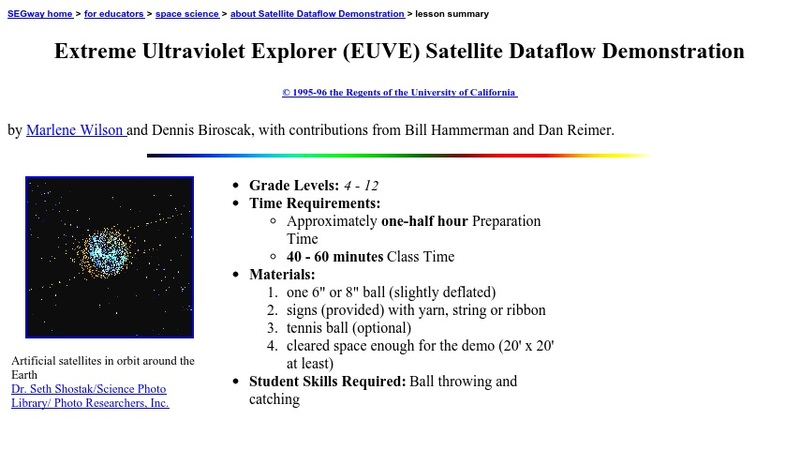 This is a hands-on demonstration of the communication path between the Extreme Ultraviolet Explorer (EUVE) satellite and a scientist on Earth, where students play the parts of various satellites, ground stations, and science centers. The module includes a Java applet animation of the Satellite data flow and background information on the various communication links. The purpose of this lesson plan is to show students how the data are sent and received by making students active participants in the chain of events. This demonstration also allows students to get a feel for the dynamic of satellite communications and orbital motion around the Earth.